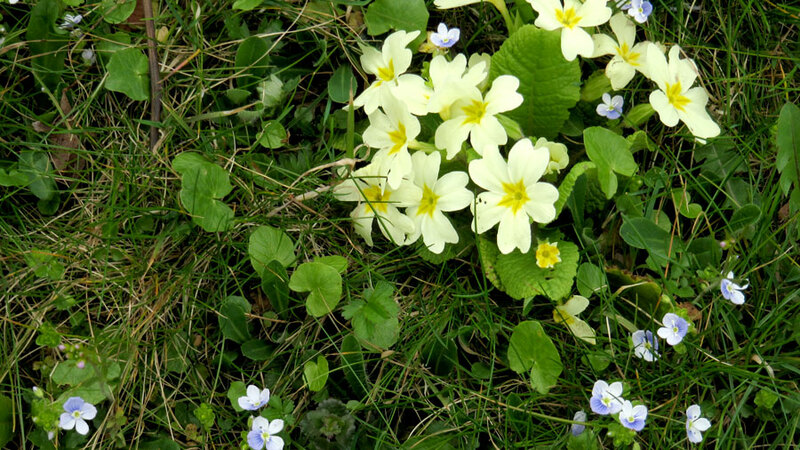 Mini-meadow in the lawn–heart pounding variety–spring promise in early April. All my life I have seen cool weather grasses from Chicago to Detroit to Boston to the UK to Belgium; but I have never seen like I see in these photos– the Thun and Brienz lakes area of Switzerland. Everyone’s house has a very small yard which usually includes a vegetable garden, fruit tree or two, flower garden and a flat trimmed lawn area. 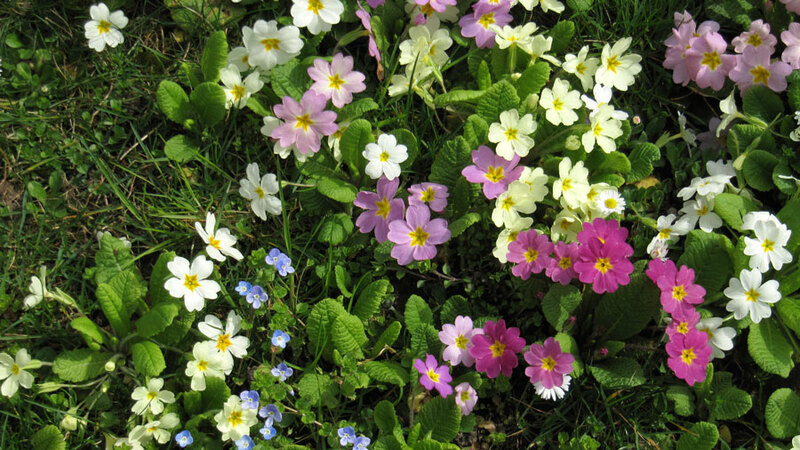 In the spring the usually flat trimmed lawn area reveals this just opening array of wild flowers–kind of mini-meadow like. People cut around these bouquets of wild flowers until the flowering is finished, then the lawns are fully cut. Next year the wild flowers return. Both lawns and meadows, as I see it. Cool season grass, early April in northern hemisphere following a steadily mild winter. …the promise of sexual pleasure? This morning a red hibiscus distracted me from Yellow Dreams writing. …enter stage right…the promise of sexual pleasure. Then intelligence says depth of field is not the best, so re-shoot the photos. 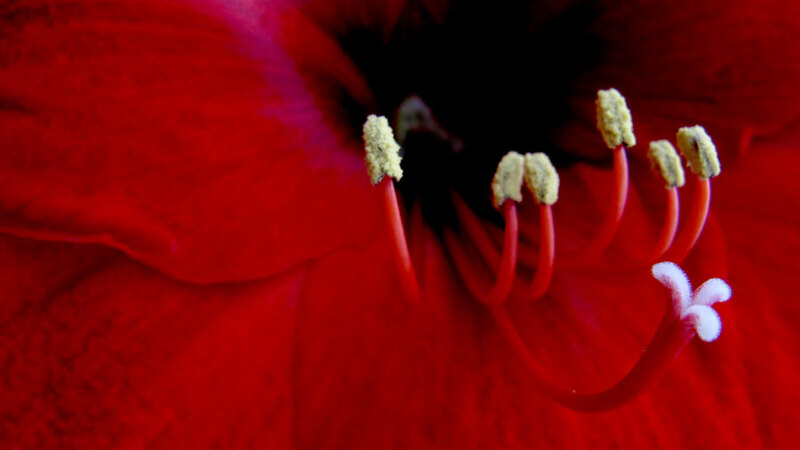 Then, intelligence asks which hibiscus, species, variety? Then sustainability–what? Sustainability–now, it has become a charade. Has the beauty been nullified? What I like about these perceptions of flowers is the broad breadth of interpretation–the seemingly endless options of perception through which anyone can easily drift, easily navigate. That amazes me! Keeps me returning to the plants, to the gardens, to the landscapes.